Do you really want to stop smoking? - Jakub Tencl, Ph.D.
Maybe you are a smoker and have again decided to quit, so somewhere in your mind you have an automatic answer to the question above. It feels like it has been verbalized before. You would like to say yes, and maybe you will add a ‘but’. And here comes your personal experience. The path of quitting smoking had been successful many times, but then you started smoking again. You can ask yourself why. Why am I doing the same thing? Firstly, repeating the same experience means that your conviction did not provide enough motivation. Does it mean that you are not capable of quitting smoking? No! You can notice that the question laid the foundation for doubts. Doubts are never good to follow. But the answer, of course, has a deeper reason. A hypnotherapist can approach this goal symptomatically, something that is on the surface. Or he can identify the roots and deal with them right away. Experience shows that the symptomatic approach is the most successful, on average 70%. But what it does not say is how long its effects last. About from two weeks to one year. But the goal is to stay confident and in control as an ex-smoker for the rest of your life. Now you can get the feeling that this is too much work, and maybe you know that you need patience. How did that happen? Why is it not easy to be patient? The answer is simple - whenever something was difficult, smoking worked as a bridge to the moment when everything was fine again. In other words, we have a limited space in which it is safe to be and cigarettes make this space smaller, it is our comfort zone. The problem is that the comfort zone can be held naturally or with cigarettes. If it's held naturally, we have the willpower to learn in new situations, easily adapt our responses, thus ultimately create more space in the comfort zone. Smoking gives the impression that everything is fine, i.e. it’s an escape mechanism. In other words, what's the point in learning something new when I don't need that?”. 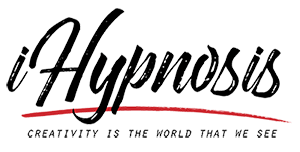 Well, how can hypnosis help? Firstly you need to know that this is a process. But at the beginning I said that you can get a feeling before it is verbalized, that's your conviction, something that is in your subconscious. That is what you can experience in hypnosis again, but with changes, so ultimately you will say: ‘Yes, I really want to stop smoking’. Your conviction is your choice, so then you will act on it. These days you can choose a one-to-one session or attend Smokers Anonymous which is well-known in the US and focuses on using a 12-step recovery program. You can attend Smokers Anonymous on April 7 at 6pm in central London, Westend Medical Practice, NW1 6SN.